We are working on side skirts right now, but ZL1 style. will do! and along the way of the installation because I know more want to know it ALL. Great! We certainly appriciate it! 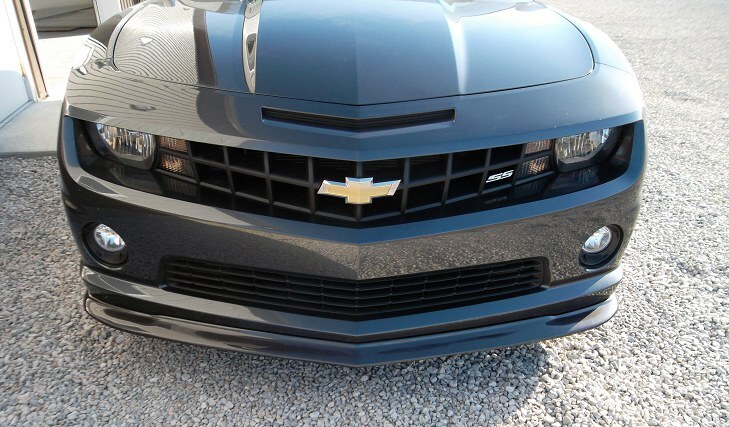 A couple more questions, is the flat black close in color to the OE grills and what would the total cost be with discount and shipping to 14031 for flat black? Thanks! beefcake... i think that splitter is gonna look good! Hopefully you'll have it on for mod day! Josh is a great guy to work with (bought my wheels from him). I think I'm going to be pulling the trigger on one also! It does look like the SLP splitter but painted. Here is a close side by side, someone was asking for this. We paint both the SLP and also this ZL1 style. Yes, flat black is the same color as OE grill black. Shipping is about $38.00 to your zip code. Flat black is $285 less any discount. Thanks! This is a no brainer! I'll be ordering next week! Just got home from the lab. Ordered my RPI splitter!! Just got it installed and it looks and fits great. Great job guys, Thanks. Car is still on jack stands doing other work.